Come re-visit this CLASSIC IN-TOWN COLONIAL at a REFRESHED PRICE!!! 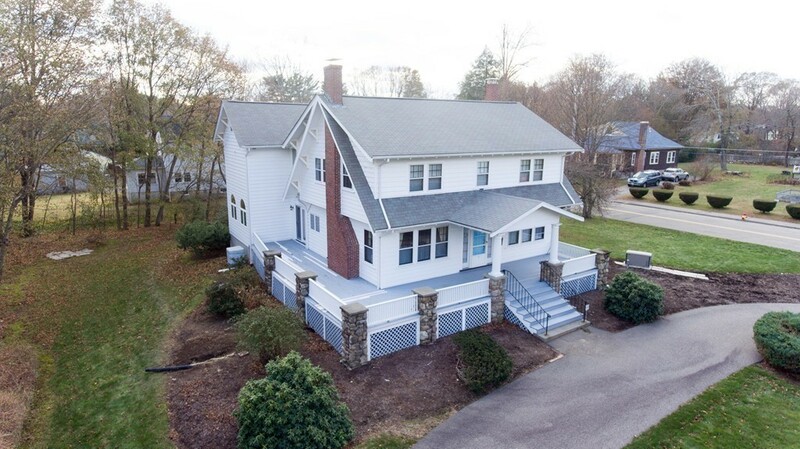 Magnificently set in the heart of Sharon center w/easy access to commuter train station, convenient highway access, local shopping, library, playground, and Sharon's AWARD-WINNING SCHOOLS. Home is where the heart is and this home offers the perfect blend of period detail & modern amenities with true pride of ownership shining through. Expansive updated cherry Kitchen features granite island & skylit breakfast nook; Newer gas heating & hot water, central AC, electrical service. Whole house gas generator so never a concern with power outages. Marvel at the custom crafted built-ins & intricate wood-beamed ceilings, gleaming HW floors throughout. Ideal floor plan offers 4 upper level Bedrooms plus an option for a 1st floor BR/full bath or Home Office. Sun-splashed Master Suite includes a large walk-in closet & private En-suite Bathroom & is part of a professionally designed/built 1989 2-story addition. Portions Copyright © 2019 Richard Gorden. Portions Copyright © 2001-2019 iMaxWebSolutions.com.